Homeowners with the expertise and time can perform DIY exterior home remodelings and with right equipment and tools can accomplish many minor projects in many days. Depending on the level of knowledge about construction, the types of projects that may be done as DIY exterior home remodelings include; gutters, new siding, window trim and painting. 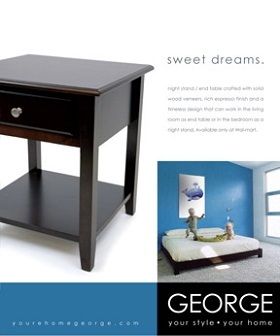 The first step is deciding on a color for your home. 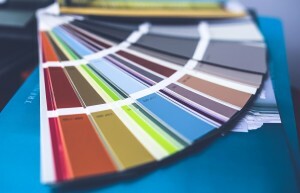 Since your home will not need to be repainted for many years, make sure you put a lot of thought into the color choice. 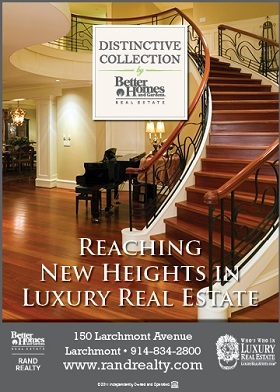 You may take into consideration the style of your home and the color tones of your neighborhood. You don’t want to stand out like a sore thumb if you chose a color that clashes with the households in the community. A better option is to choose a neutral or soft pastel color, and then you can spice up your color on the trim and window frames or shutters. Prepping your home for painting is the biggest job and the most labor intensive. If you don’t own a pressure washer, you can rent one from any equipment rental yard. A garden hose cannot provide the powerful force that a pressure washer delivers. You should always start from left to right and top to bottom whether prepping or painting. Once you have scoured any paint chips, dirt or other debris from your home, it is now necessary to use a scraping tool to scrape further away any other paint chips. Once this is complete, you should use an electric sander to smooth over areas where paint has been removed. Any bare wood should be painted with a primer first to protect the surface. If there are any areas of mold or mildew on the exterior walls, you should use a solution of bleach with water to kill and remove the mold. If you find any holes or damaged areas, use a caulking compound or wood putty to repair the spots you locate while prepping your home. You should paint your home first before painting the trim and shutters on the windows. Using masking tape, carefully mask any areas, such as windows and any light fixtures that cannot be removed. The time has finally arrived to paint your home. Should you use a paint brush and roller for the job or should you rent a paint sprayer from an equipment rental business? 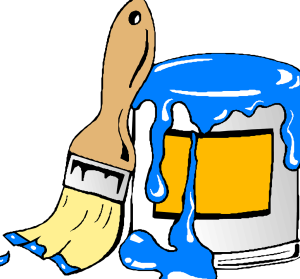 Most professional painters do apply paint with a paint sprayer. They then do a backrolling, a technique used by going over the surface with a small roller. It not only evens out the paint but it also pushes paint into all the nooks and crannies. Once you have finished painting the exterior part of the house, you will then start painting all the trim and window sills or shutters with your contrasting color. You will always paint these portions with a brush. After you are finished with the exterior house painting, remove all masking tape and painting tarps. Then step back and admire all your hard work and pride yourself on a job well-done.